On Sale Now! 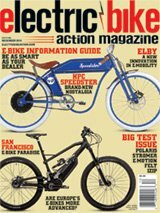 Electric Bike Action Magazine August Is Hot! Is it the best mountain bike we’ve ever ridden?